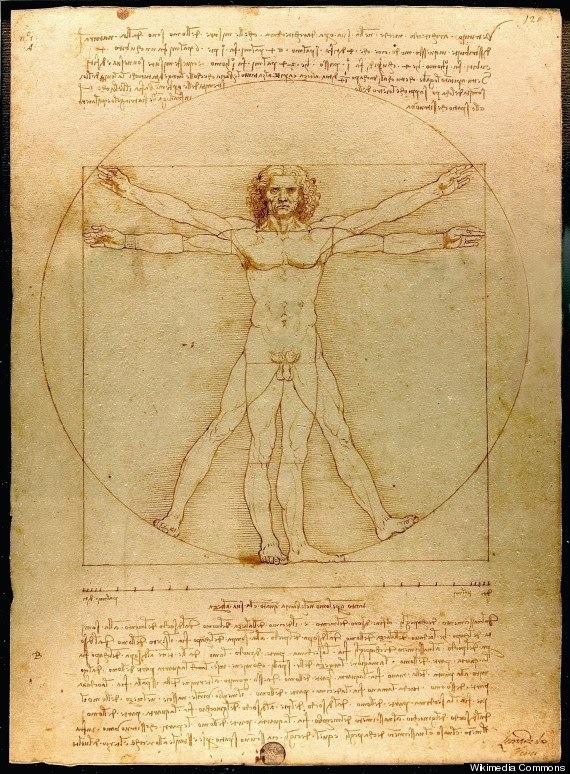 Leonardo da Vinci made it his mission to sketch the male body with ideal human proportions in the late 1400s. But it turns out, his "Vitruvian Man" may not be so perfect after all. Dr. Hutan Ashrafian, a surgeon at the Imperial College London in the U.K., noticed something rather odd when he got up close and personal with the iconic drawing. "Vitruvian Man," a drawing by Leonardo da Vinci circa 1490. 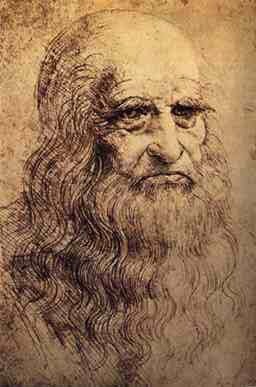 "I noticed that Leonardo da Vinci's image of a man had a feature that may have been pathological. Notably a lump in the left groin region," Ashrafian told The Huffington Post in an email. 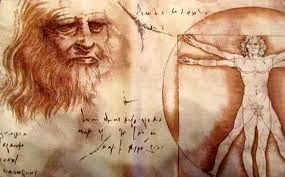 "For an adult male that Leonardo was depicting, a lump in the groin of this nature is most likely diagnosed as a hernia." Ouch. An inguinal hernia occurs when soft tissue from the abdomen or intestine pushes through a weak spot in the lower abdominal muscles. It appears as a bulge on one or both sides of the groin or scrotum. These hernias occur in more than a quarter of men and 2 percent of women. Ashrafian said in the email that Da Vinci may have modeled the "Vitruvian Man" after a cadaver who died from complications from a hernia. "The image therefore represents Leonardo's true genius of objectively depicting exactly what he observed rather than interpreting art through stylisms," Ashrafian told HuffPost in the email. "The only way to verify the hernia is to see if there were any other images of the same individual or if the actual body was somehow preserved. Both of these are realistically unlikely." What do other experts think of this diagnosis? "If it isn’t a hernia, then I really have no idea what it would be," Dr. Michael Rosen, director of the Comprehensive Hernia Center at University Hospitals Case Medical Center, told Slate. This isn't the first time Ashrafian has doled out post-mortem diagnoses to iconic historical figures. For instance, in 2012, he suggested that King Tut may have died from epilepsy.